SYCK-2 crevice width measurement instrument a new professional concrete structure measurement instrument for the crevice width and the microcosmic defects on surface, against the traditional crevice microscope inconvenient for observation, based on the Standard of Dangerous Building Appraisal GJG125-99 about relative request of evaluate the house dangerous point with the crevice width. 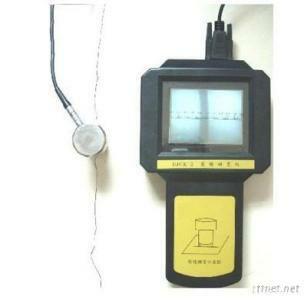 Mainly used for testing the crevice width of bridge, channel, concrete plate, metallic surface. The newest technology of formation of image of electronic, recover the original crevice actually. The microcosmic camera measurement probe is made of totally stainless steel, resistance to wear and drop.